The Resort superintendent will be the onsite person responsible for the operation and continued profitability of the resort and serve as the day to day contact for guests, residents and employees. Will be in charge of everything from administrative activities, marketing, leasing and sales, property maintenance, budgeting, and most importantly resident and guest relations. Responsible for the overall operation of resort departments, maintenance and golf course. Establish effective communication between all departments and Tribal staff to insure that proper courtesy is maintained in all areas of communication. Comply with all federal, state, and local laws that apply. Oversee capital expenditure needed for improvements. Responsible for approving resort accounts payable. Responsible for the preparation of budget and expenditures in all departments. Making important decisions and has final authority in all matters concerning ordering operating supplies. Formulates ideas and assists the Cocopah Tribal Council in establishing long range plans, budgets and objectives for the resort. Establish and executes standard operational procedures for all resort departments, managers and personnel by insuring maximum employee productivity. Assure all departments are in compliance with Cocopah Tribal Policies. Directly responsible for employee training, scheduling and employee development to ensure maximum work productivity. Prepare and review written semiannual evaluations of all resort staff. Makes recommendations to the Human Resource Department concerning all personnel issues, hiring and disciplinary. Reviews all areas of the resort, specific market, economic, competitive, and trade conditions in order to make necessary recommendations to promote and enhance the welfare of the resort. Ensure customer, residents receive a high level of service consistent with Cocopah Indian Tribe’s philosophy. Engage in all community affairs, participating in civic, social and trade organizations as a representative of the resort. Responsible for the marketing and promotion of the resort to attract new customers and maintain loyalty of existing ones. Knowledge and experience in administrative work, preparation, monitoring and complying with budget processes. Extended background in public relations, industry affairs and understanding of the consumer behavior for recreational vehicle resorts. Solid negotiation skills needed when dealing with vendors and/or contractors. Knowledge in managing a year round golf course and RV Resort. Flexibility to respond to resort needs during non-business hours. Must be a person with an understanding of people, team leader, intelligence, initiative, good judgment and a mature attitude. Bachelors or Associates Degree in Golf Course Management, Business Administration/Management, Hospitality and Restaurant Management, or combination of education and experience in related field. Four (4) years’ experience as a manager of an RV Resort of comparable size and scope will be considered. Experience in coordinating, scheduling, planning, prioritizing multiple projects in a limited time frame. Experience in community and public relations with extensive public contact and customer service experience. Previous sales and leasing experience, preferred. Class A or B golf course superintendent’s certification, preferred but not required. Current valid Arizona Driver's License. Must be able to pass DPS finger print background check. NATIVE AMERICAN AND CURRENT EMPLOYEE EMPLOYMENT PREFERENCE POLICIES ARE APPLICABLE TO ALL POSITIONS. MUST BE ABLE TO PASS PRE-EMPLOYMENT AND ON-GOING RANDOM DRUG/ALCOHOL TESTS. The opening and closings of these positions are subject to change upon the need of each department. For more information please contact Cocopah Human Resources at 928-627-2102. Under the direction of the Bar Lead/Bar Manager. The beverage server takes beverage order from guest and transmits to bar over wireless point of sale system, delivers drinks to guests on the gaming floor. Records order and time received on ticket to ensure prompt service. Answers questions regarding facilities and/or services. Delivers beverages in an expeditious manner to the guest, keeping the speed and quality of the service foremost in priority. Collects vouchers and cash for service and keeps record of transactions. Ability to calculate simple math. Under the immediate supervision of the Lead Technician, the Slot Technician maintains efficient operations of all Casino slot and video machines. Must be in good physical health as this job requires a considerable amount of walking and carrying coins. Maintain a log of all machine problems and repairs during shift. Review slot statistical data to determine whether slot machines or meters need to be repaired or replaced. Observe players for use of illegal gaming devices and counterfeit coins. Organize parts storage area and keep inventory. Walks the Casino floor to spot machine malfunctions. Participate in clean up duties. Must understand and comply with departmental internal control regulations. The Casino is 24hrs 7 days a week operation, may be required to work any or all shifts. Successful candidates will be subject to pre-employment on-going random drug testing. One year experience in electronic field or 1 year electronic schooling. Must be mechanically oriented and have demonstrated skills in slot machine repairs. Scrapes food from dirty dishes and washes them by hand or places them in racks or on conveyor to dish washing machine. Under the direction of the Service Director. The Restaurant Host coordinates activities of dining room personnel to provide fast and courteous service to restaurant patrons by performing the following duties. Address complaints of patrons and reports them to Restaurant Manager. Trains dining room employees in proper service etiquette. Prepares beverages and expedites food orders. Totals receipts, at end of shift, to verify sales and clears cash register. Must be able to stand/walk for 8 hours or more. Must be certifiable by the Cocopah Tribal Gaming Office. Under the direct supervision of the Building Maintenance Lead this position assists in repairing and maintaining machinery equipment, physical structures, plumbing and electrical systems of facility by performing the following duties. Ability to make emergency service calls. Bends & cuts conduit wire, and drills holes in walls, floors, and ceiling for electrical connections. Patches or replaces plaster board and paint walls, ceiling, and trim of building. Must be able to make periodic maintenance of facility systems. Installs lighting fixtures, outlets, switches, wall boxes and terminal boards. Reads blueprints, shop drawings, or written instructions to determine method and sequence of assembling parts. Ability to be part of a team, and participate as a team member. Diagnosis cause of electrical or mechanical malfunction or failure of operational equipment and performs preventive and corrective maintenance. The Casino is 24hrs 7 days a week operation and may be required to work any or all shifts. Ability to lift up to 50 lbs. as well as carry heavy supplies and equipment throughout the shift. One year experience in the electrical, construction, and facility maintenance preferred. Success candidates will be subject to pre-employment and on-going random drug testing. Under the immediate supervision of the Finance Director/Bookkeeper, the Count Lead ensures that each gaming machine containers are replaced on a daily basis. Direct the removal of full containers from gaming machines and replacement with empty containers. Ensures that each container is tagged with the appropriate machine number. Verify each Count member's Accounting paperwork. May participate in job interviews. Assign additional duties to Count Employees as deemed necessary. Ensures that Count Rooms are clean after each shift. Assigns daily duties of crew members. Directs maintenance of room equipment. Maintains inventory of supplies, works with Purchasing Clerk to ensure supplies are on hand. Must have a High Diploma/G.E.D. Ability to supervise and direct employees of all backgrounds and personalities in a fair and consistent manner. Must be certifiable through the Arizona Department of Gaming and the Cocopah Tribal Gaming Office. Successful candidates will be subject to on-going random drug testing. Applicant must be in good physical health as this job requires the ability to lift up to 50 lbs. and carry coins. Mixes and serves alcoholic and nonalcoholic drinks to Casino patrons of bar by performing the following duties. In the entertainment industry one may be subject to a work environment contain excessive noise, smoke, and stress. NATIVE AMERICAN AND CURRENT EMPLOYMENT PREFERENCE ARE APPLICABLE TO ALL POSITIONS. Takes orders from customers for liquor and food. Mixes ingredients such as liquor, soda, water, sugar, and bitters to prepare cocktails and other drinks. Submits orders or requisitions liquors and supplies to the Food and Beverage Manager/Restaurant Manager. Replenishes bar snacks such as chips, pretzels, and nuts. Must have 1 years as a Bartender. 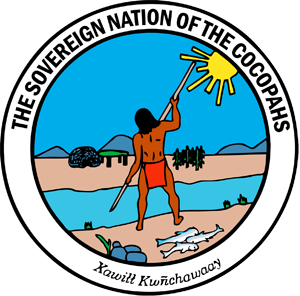 Thorough understanding of the Compact between the Cocopah Indian Tribe and State of Arizona. WORK ENVIRONMENT: In the Entertainment industry one may be subject to a work environment containing excessive noise, smoke and stress. Prepare all hot and cold foods as directed and assigned with appropriate supervision Cook all food orders with maximum care and skill Maintain assigned work station in a clean and orderly fashion Perform any other duties as assigned by Lead Cook or Sous Chef. Must understand and comply with departmental internal control and regulations. The Casino is 24 hrs 7 days a week operation and may be required to work any or all shifts. Commercial experience in a high volume environment Some knowledge of advanced food preparation techniques preferred. Knowledge of grill, fryer, slicer and other kitchen equipment Applicants must be in good physical health as this position requires lifting of heavy objects. Successful candidates will be subject to pre-employment and on-going random drug testing A current health card is required. Works directly for the General Manager/Lead Floor Manager. Duties include answering the casinos phone lines during your shift, taking messages, typing and filing correspondence. Must be proficient in Outlook to schedule meetings, Word to draft memos and Excel for spread sheets. Manages General Manager and Lead Floor Managers Outlook Calendar by scheduling meetings and also record any events that need to be attended. Prepares memorandums as directed by General Manager and Lead Floor manager. Arranges meetings, events or conferences by notifying the proper departments and arranging the meeting space, catering if needed and sends out the proper invites. Maintains copies of all Department work schedules and distributes them every two weeks to the proper Directors/Managers. Ability to answer questions concerning promotions, food specials and any current events taking place at the casino. Responsible to make deliveries to Tribal Office when needed and bring back all correspondence for the casino. Disperses all mail to the proper departments daily. Also sends out mail and makes sure the postage machine has postage available. Keeps the supply room stocked by placing orders through purchasing as needed. Completes Monthly inventory and turns in to Accounting. Responsible for the Petty cash that is used in emergency situations. Disperses pay checks on Pay Day and gives them to department heads upon completion of shift for further distribution in their specific department. Must understand and comply with departmental procedures and policies and procedures as outlined. Ability to greet public and answer phones in a pleasant and professional manner. Ability to maintain filing system. Computer Literate- multiple software programs. Must have previous office experience. Be able to speak, read and write with good English grammar. Must possess the ability to keep information confidential. Must be available any hours requested by General Manager. Successful candidates will be subject to pre employment and on-going random drug testing. Must have a valid AZ Driver’s License with a clean driving record. Must speak, read & write English fluently. Audit balance and report on the various areas of the hotel providing accurate financial information. Oversee front desk operations during late shift (11pm-7am). Under the direct supervision of the Hotel Maintenance Supervisor, maintenance staff is responsible for cleaning and maintaining all corridors and public areas in accordance to housekeeping procedures and standards. Walk all assigned floors at beginning and end of shift; remove newspapers and service trays; empty ash tray receptacles, remove trash and notate any areas that need immediate cleaning. Clean all public areas in the prescribed manner to include but not limited to: hallways, elevator, service areas, stairwells, etc. Remove soiled linen and trash from the service areas and take to the appropriate locations. Report any missing/found articles, damage to hotel or grounds to the Maintenance Supervisor. Respond to guest requests, questions and complaints in a hospitable manner to ensure guest satisfaction. Coordinate with Maintenance Supervisor to determine work priorities and provide assistance when needed. Vacuum carpeting, upholstery and drapery. Clean and shine all glass and metal surfaces. Clean public restrooms and stock with supplies. Assist guest with luggage when available. Applicants must be in good physical health as this job requires a considerable amount of walking and lifting. Deputy Marshal Full-Time Cocopah Tribal Court Open Until Filled $31,154 - $32,711/Year D.O.E. Under the direction and supervision of the Court Services Coordinator. The Deputy Marshal will be responsible for serving court orders, subpoenas, summons or warrants and transportation of inmates to and from court or medical facilities. The Deputy Marshal is also responsible for the safety and maintaining order within the tribal court. Work is subject to odd hours of work and on-call status. Provides services to judicial and/or government officials as designated. Regulate & control the policing of the courtroom. Responsible for the transportation of prisoners and maintaining security or control of inmates appearing before Tribal Court. Enforce all rules & regulation of the Tribal Court. Locates persons to be served by using telephone directories, State, County, City or Public records and serves or delivers documents as necessary. Testifies in court to present evidence or testify against persons accused of criminal activity. Cooperate with Federal, State and local jurisdictions in the apprehension and detention of wanted persons with other agencies where law enforcement activities are involved. Maintains positive relations with community members and agencies. Serves court papers, warrants, or subpoenas as required. Maintains appropriate documentation on incidences as required by policies and procedures. Generates reports as required by immediate supervisor. Attends training classes and seminars on court security, techniques, safety, first aid, marksmanship, and related law enforcement activity. Contributes to a team effort and accomplishes related results as required with court staff. Provides written and verbal reports to supervisory personnel. To create positive community relations. Knowledge of law enforcement, court decorum and service process. Knowledge of the Cocopah Nation geography and road locations. Ability to give and receive orders, follow instructions in verbal and written format. Ability to work as a team member in a structured working environment. Ability to comprehend, retain and recall factual information, and learn and apply acquired skills and techniques to the performance of assignment duties. Ability to protect the public in the court and enforce the laws with due regard for the rights and safety of individuals, preservation of property, and maintenance of good community and interpersonal relationships in compliance with established laws, policies, procedures and regulations. Ability to integrate training, experience and common sense sufficient to identify potential dangerous situations, make effective logical decisions and exercise the appropriate measure of tact or force to resolve the situation with minimum injury to self or other persons or minimum damage to property involved. Ability to accept the dangers and stresses, regimentation, discipline and time demands of the Marshal Position. Ability to establish and maintain effective working relationships with associate personnel and the public. Ability to prepare accurate, complete and legible reports and present detailed, accurate and objective oral presentations and response to questions. Skill in establishing and maintaining effective and cooperative working relationships with the Cocopah Indian Community, other interested parties and the public. Maintain the ability to work after hours due to transport of defendants to detention centers located out of town. Current First Aid and CPR certification may be obtained after hire. Must have basic computer knowledge preferably with Windows and Word Applications. Experience in law enforcement and corrections practices or procedures preferred. Related College or Technical School training or equivalent combination of education and experience. Successfully pass an oral board, background investigation, fingerprint check and physical exam. Must never have been convicted of a felony or have been convicted of a misdemeanour within a period of three (3) years preceding application or never been convicted of an act of domestic violence involving a weapon or serious injury. No DUI’s or major traffic offenses within the past five (5) years and required to pass a physical examination. Under the immediate supervision of the Tribal Administrator, the Head Start Director is responsible for implementing, operating, and maintaining the Head Start Program in accordance with the American Indian Program Branch Performance Standards and Tribal Policies and Procedures within a twelve month program. Train, schedule, motivate, evaluate and supervise Head Start staff members in accordance with policies and procedures. Ensures a safe and happy environment for the children. Ensures quality instruction is given to each child. Prepares monthly and yearly reports on the status of the program for grant funds. Submits said reports to the Grantor and the Tribal Finance Department. Develops an operational budget for the department for submission to the Tribal Council for approval. Develops, implements, and maintains an on-going evaluation system to ensure quality control of the program. Provides parents with information in: classroom curriculum, program events, budget and proposals, scheduled home visits, workshops and training available to parents. Routinely meets with Head Start staff members regarding effective teaching methods. Works with local community officials and develops a plan on responding to emergency situations. Establishes and maintains effective working relationships with parents, local providers, community members, and Tribal Officials. Updates annual education plan and ensures the planned activities are in accordance with Performance Standards. Coordinate training in the identification of child abuse and neglect procedures and applicable state and local laws. Attends monthly meetings with the Parent Policy Committee. Keeps Committee briefed on current events and acts upon any directives, input, or suggestions provided. Three years experience in Head Start Program administration. Strong working knowledge of the American Indian Branch Program Standards. Must be knowledgeable of physical, economic, and social items within the community that may affect children. Must be experienced in preparing and working within a budget. Must be able to maintain excellent rapport with the diverse personalities of children, parents, and community members. Must possess a valid teaching certificates issued by the Arizona Department of Education. Must possess a Bachelor Degree in Education or related field. Five years of experience in the Education field may substitute for the degree requirement. Must be certified in CPR/First Aide. Must maintain an Arizona Health Card and submit to yearly physical examinations to include a TB skin test. Must be able to pass an extensive background/fingerprint check. Must maintain a valid driver's license or other method of transportation to perform the duties of the position. Must possess or be able to obtain a CDA within 2 years of employment. Must be a High School Graduate or GED required. Under the direction of the Patrol Sergeant, the Officer will be responsible for the safety, security and the preservation of life and property by maintaining law and order within the boundaries of the Cocopah Nation Reservation. Assist with maintaining continual law enforcement and prevention services twenty-four (24) hours per day, seven (7) days per week. The Officer will have the responsibility of enforcing Federal, State or Tribal laws and ordinances as necessary. Work is subject to rotating shift assignments, odd hours of work and on-call status. While performing the duties of this job, the employee is regularly required to stand; walk; use hands to finger, handle, or feel; reach with hands and arms; climb or balance; stoop, kneel, crouch, or crawl; and talk or hear. The employee is occasionally required to sit and taste or smell. The employee must frequently lift and/or move up to 25 pounds. Specific vision abilities required by this job include close vision, distance vision, peripheral vision, and ability to adjust focus. Protects the property and lives of community members by patrolling assigned areas and addressing any suspicious persons and/or establishments. Responds to all incidents and any other misdemeanors or felonies and secures the scene of the crime. Conducts preliminary investigations, gathers evidence, obtains witnesses, and makes arrests as required by applicable laws. Conducts investigations in vice activities, narcotics, traffic, burglary or reported incidents as assigned. Conducts routine checks of local businesses, residences and government agencies. Maintains awareness of and investigates specific areas subject to juvenile delinquency. Maintains positive relations with community members and agencies by educating and informing on crime prevention and related issues. Transports violators to and from court, rehabilitation sites or jail facilities. Attends training classes and seminars on police methods, techniques, safety, first aide, marksmanship, and related law enforcement activity. Communicates with local, state, regional and outside agencies and assists as needed. Provides information to visitors, the general public and community members on Criminal Law on the Cocopah Indian reservation. Knowledge of law enforcement and public relations activities. Ability to protect the public and enforce the laws with due regard for the rights and safety of individuals, preservation of property, and maintenance of good community and interpersonal relationships in compliance with established laws, policies, procedures and regulations. Ability to accept the dangers and stresses, regimentation, discipline and time demands of police work. The responsibilities include answering the phone, taking messages, typing correspondence using computer to produce reports, flyers, and educational material as required by the staff and file material in proper timely manner. Types or produces via computer reports, records and correspondence. Files correspondence, reports, records and educational material. Answers telephone and takes messages. Prepares time sheets for staff signature. Picks up mail and messages from Tribal Office. Ability to greet public in a pleasant and professional manner. Ability to set up and maintain filing system. Must be able to work well with staff. Must have basic skills in using a computer. Ability to take messages without mistakes. Fluent in Cocopah Language a plus. Under the immediate supervision of the Day Care Supervisor, the Aide is responsible for implementing instructional, cultural, health, language and other curriculum as directed. Assist with daily activities upon arrival of children as they enter the Day Care Center. Attend as requested by Supervisor, planned staff/parent meetings, workshops in or out of town, to gain experience for self growth. Ability to relate with staff, children, parents/guardians and public. Must obtain First Aid and CPR card. Be flexible and able to meet challenges as they arise. Training in early childhood instructions. Experience in early childhood setting. Must submit to a yearly physical, TB skin test. Ability to obtain Health Card. Some experience with 3 to 4 year old children. Under the general supervision of the Finance Director, the Enterprise Accounts Payable will assist with all areas of the Finance Department as needed. In charge of Accounts Payable duties for Tribal Enterprises. Verifies vendor invoices for accuracy and attachment of required documentation. Assists the auditors as needed. Knowledge of office procedures and computer skills. Working knowledge of tribal accounting methods and accounting requirements of governmental funding sources. Working knowledge of accounts payable and tax laws. Ability to maintain effective working relations with and among employees, tribal members and the public. Proficient in the use of complex funding accounting computer systems and experience in Microsoft Excel and Word. Bachelor’s degree in business or accounting, or an Associate’s Degree with two years related work experience; or any combination of education and experience. Under the direction of the A.D.A.P.P. Director, transports students to and from classes. Cleans and maintains the A.D.A.P.P. Center and the grounds. Drives a GSA van to transport students to and from classes as scheduled by the Director. Inspects and performs routine vehicle maintenance daily. Sweeps, mops, and vacuums floors. Dispose of trash. Cleans and maintains cleanliness of restrooms. Cleans and maintains grounds surrounding building. Must have a general knowledge of the local area and where to pick up students. Must be knowledgeable in CPR and first aid procedures. Must be knowledgeable in the procedures necessary to maintain a clean and healthy overall work environment. Must have a valid Arizona Driver license, a safe driving record, and two years of driving experience. Must be able to meet the Tribal Motor Vehicle Insurance requirements. Must be able to pass DPS fingerprint background check. Driving test may be required. Under the supervision of the Finance Director, the Revenue Clerk is responsible for receiving, recording and preparing deposit spread sheets for the tribe and enterprises. Receives records and distributes incoming department mail. Prepares and issues receipt for each cash transaction. Prepares gas coupon invoices pertaining to enterprises. Prepares and enters the cash receipts for posting and prepares bank deposits. Oversees that the supply room is filled and orders new supplies. Issues weekly eye vouchers for various Tribal Members. Makes sure that account payable files are up to date for the Tribe and various enterprises. Maintain and balance petty cash box. Enters loans into accounting system. Verify balances for Emergency Assistant Requests and provide report of approved loans to Tribal Council. Assist with the yearly profit share distribution. Perform typing and filing duties as needed. Generate/ process documentation requested by public. Experience in the use of spreadsheet applications including Word and Excel. Knowledge of accounting procedures and financial record keeping. Or any combination of education and experience which demonstrates the ability to perform the position duties. Government Finance Director Full-Time Cocopah Tribal Government Open Until Filled $38,814-$46,055/Year D.O.E. Under direct supervision of the Museum Director/Cultural Programs Coordinator, responsible for management and daily operations of the Museum's collections. Plans and implements Museum exhibitions. Has primary responsibility for object/specimen care and storage. Registers and catalogues all items on computer. Provides hard copy updates at end of every calendar year to be stored in the Museum's archives. Advises the Museum Director of any changes in collections' status. Coordinates the monthly Elders Cultural Council meetings. Plans exhibits with other museum staff and prepares relevant artifacts for exhibitions. Participates in language, cultural, and oral history preservation projects. Participates in the annual Cocopah Cultural Celebration Day plans & implementation. Attends staff meetings, training and workshops. Ability to work well with others, including diverse personalities of museum visitors. Practice good organizational and time management skills. Competent in museum recordkeeping procedures. Fluency in English and Cocopah languages is preferred. Spanish language fluency also a plus. Ability to work with little supervision, and bring innovative approach to work environment. Associate or Bachelor's degree in history, arts, or museum studies preferred or 4 years equivalent experience. Experience with Collections Management Database systems, PastPerfect preferred. Experience with handling and housing artifacts and archival collections. Strong verbal and written communicative skills. Fluency in English and Cocopah language preferred. Spanish language fluency also a plus. Must be at least 21 years of age, required for GSA vehicle operation. Must have reliable transportation and be able to travel for training and other business related purposes. Must possess a current valid Arizona Driver's License. Under the general supervision of the Finance Director, the Accounts Payable will assist with all areas of the Finance Department as needed. The position is a 3 year term. In charge of Accounts Payable duties for NTN grant funded program. Calculate expenditures appropriately and make necessary charges to applicable accounts. Communicate with Vendors in reference to Accounts Payable billing information or clarification needed. Perform monthly clearings between the Tribe and NTN Expenses. Assist Managers with any Accounts Payable issues or concerns. Assists with the yearly profit sharing distribution. Assists with the posting of the general ledger as needed. Verifies documentation for the Tribe. Assist the front desk as needed. Performs typing and filing duties as needed. Must be a High School Graduate or GED. Must pass a finger print background check. Two years related work experience; or any combination of education and experience. Under the direct supervision of the Museum Director/Cultural Programs Coordinator. The primary responsibilities of the Museum Office/Gift Shop Manager will be to provide office support to the Museum Director and staff while managing the daily operations of the Museum Gift Shop. This is a supervisory position. Provides leadership duties during absence of the museum director. Responsible for bookkeeping duties for maintaining the gift shop checking account. Assists with monthly reports and time sheet submissions as well as maintaining accurate and current inventory reports and end of the year inventory duties. Order new products and maintain ongoing products, maintain adequate food and drink stock. Network with other organizations to promote increased sales in Tribal arts and crafts as well as maintaining museum files of vendors, correspondence, reports, and vehicle records. Coordinates Cultural Center usage calendar. Processes all memos, mail and other correspondence from the Tribal Headquarters. Supervise and train cashier clerk position; train and supervise volunteers. Assist in the preparation of the monthly Elders Cultural Council meetings and assumes the role of the Museum Director as needed. Participate in the annual Cocopah Cultural Celebration Day plans & implementation. Attends staff meetings, training, and workshops. Practical experience in marketing, sales management and small business operations. Mus have cash register experience and aptitude to accurately log all cash register transactions and deposits. Must have the ability to maintain a filing system. Customer service skills and the ability to work well with others. Must adhere to confidentiality requirements. Must be able to comply with written and verbal instructions and communicate well orally and in writing. Computer skills with Word, Excel spreadsheets and design publisher programs. Ability to develop strong work ethics and must have organizational, prioritizing, marketing and design skills. Flexibility with new challenges as they arise, and the ability to travel and work flexible hours as required. Ability to handle large packages and routinely lift 20 to 30 pound packages. Must have a least two years general office experience and at least one year of supervisory experience. Must be able to type 40 wpm. Strong background in office procedures. Must be 21 years of age, required for GSA vehicle operation. Must possess a current valid Arizona Driver’s License and reliable transportation. Under the direction of the Tribal Administration. The Maintenance Supervisor provides general maintenance & repair services to the Tribal Offices. Primary responsibility of general cleaning, maintenance, repair and security of all areas of the Tribal Building and surrounding area. Supervises and evaluates maintenance workers and other program workers. Responsible for ordering and maintaining a complete inventory of maintenance supplies, materials and equipment. Responsible for maintaining and making minor repairs on machines, equipment and tools. Performs minor maintenance services, i.e., electrical, plumbing, painting, air conditioning systems, and carpentry. Responsibility of cleaning offices, bathrooms and front lobby area, i.e., mop, strip, and wax floors, clean furniture, fixtures, walls, and windows, empty trash and garbage. Responsible for maintaining surrounding landscape, i.e., cut, trim and water trees and grass. Make assessments on major repairs needed and get estimates on service costs for repair work. Ensure that all office work areas of the Tribal Office are secured at the end of operational hours. Attends staff meetings, in-service training and workshops. Submits monthly reports to the Tribal Administration. Ability to work well with others, including diverse personalities of Tribal visitors. Flexible in work hours to cover evenings & weekends. Fluency in English. Cocopah & Spanish languages a plus. At least two years experience in custodial and grounds work, preferably with some supervisory experience. Presentation of professional appearance and demeanor a must. Knowledge in the operation, care and safety practices of standard maintenance equipment, i.e., floor polishers, power tools, mowers/tractors, & hand tools. Must pass fingerprint background check. ARIZONA@WORK, NINETEEN TRIBAL NATIONS WORKFORCE DEVELOPMENT BOARD (WIOA)Dislocated Worker/Displaced Homemaker Program -Have you been laid-off? -Collecting Unemployment Insurance benefits or has exhausted benefits? -Are you a stay at home male or female who has been providing unpaid services to a family member and been dependent on that income? Have you now lost that income because of divorce, legal separation, or by the death of that person? THIS POSITION HAS BEEN POSTED AS A COURTESY TO INDIAN HEALTH SERVICES. PLEASE CLICK ON THE LINK TO APPLY. This position is housed within the THMP Department under the supervision and direction of the YCWPD. The IECMHC will work closely with the Project LAUNCH Staff, Early Childhood Education and Home Visitation (ECE/HV) Directors and respective department staff, Project LAUNCH Advisory Board and THMP Director. The IECMHC should possess foundational experience that draws from a broad and diverse knowledge base to understand children, families and ECE/HV staff and how they relate to one another. Must possess a solid understanding of the culture and traditions of the Cocopah Community. The IECMHC must have the ability to lead, foster relationships and understand complex nature of system integration. Partners with families and ECE/HV staff in working to prevent mental health problems from developing or increasing in intensity and/or in responding effectively to existing mental health concerns. Promotes reflective practice with consultees, using experience-based learning to support consultees’ professional growth and development. Collaborates with families and ECE/HV staff to promote warm and trusting relationships, steady routines and development-enhancing interactions that positively impact classroom and home climates. Explores how elements of classroom and/or family life can play a powerful role in supporting all children’s social and emotional development. Collaborates with families and/or ECE/HV staff to understand and respond effectively to a childs or parent’s mental health needs, behavioral difficulties and/or developmental challenges. Maintains a systemic approach and aims for program-wide impact through a focus on multiple issues that affect the overall quality of an ECE/HV setting. Works to enhance programmatic functioning by assisting ECE/HV program administrators and/or staff in considering the setting’s overall social and emotional climate and in solving issues that affect more than one child, staff member and/or family. Demonstrates an ability to work in natural settings, including homes and early care and education environments. Offers consultation that reflects and respects the philosophy and model of the program in which IECMHC takes place and the community and cultural context in which that program resides and/or functions. Demonstrates an organized approach to the stages of the consultative process. Demonstrates an ability to support the emotional well-being and relational health of infants and young children, and the adults who care for them and promotes a shared and accurate understanding of child, family and provider needs. Maintains accurate and timely records, provides professional documentation and engages in substantive data collection in accordance with a program’s or setting’s requirements. Recognizes and maintains appropriate professional boundaries and role as defined by discipline (e.g., psychology, social work and counseling) and scope of practice. Demonstrates an understanding of IECMHC as an indirect service that helps to build the reflective capacities and relational health of families, ECE/HV staff and others who care for or provide services to young children. Grasps and can convey the difference between IECMHC and modes of intervention that involve direct mental health treatment for children and/or families. Bachelor’s degree in Social Work, Counseling or Psychology. Master’s preferred. Must have significant experience in infant and early childhood mental health consulting, screening, staff training and family program development. A working knowledge and experience with the Cocopah Community is preferred. Must have reliable transportation and be able to travel for training and business related purposes. Under the general supervision and direction of the YCW Director. Position will work closely with the THMP Director and Project LAUNCH Advisory Board. This position is housed within the THMP Department. The YCW Partner will provide programmatic infant early childhood mental health consultation to the Cocopah Community to include: Head Start, Day Care and the Early Steps Home Visiting program. The YCWP will also Co-Chair the YCW Advisory Group (YCWAG) and help promote and lead the infant mental health public education campaigns. The position prefers a licensed mental health counselor with experience serving children and families, preferably with families from the Cocopah Tribe. The YCW Partner will lead the development of vision for children’s mental health services in collaboration with prevention and foster complex individual and program level relationships. Note: Project LAUNCH is a five (5) year grant expiring 9/29/2023. Serves as a subject matter expert and co-manages the Young Child Wellness Advisory Group (YCWAG). Coordinates updates to the existing strategic plan and implementation of grant activities. Documents lessons and successes from the local community to influence policy, funding and programmatic decisions related to the social, emotional and behavioral development of all young children. Provides programmatic infant early childhood mental health consultation to the Cocopah Head Start, Day Care and the Early Steps Home Visiting program. In coordination with the YCWAG and THMP, establishes shared vision for children’s mental health services. Develops and provides public education in infant mental health, screening and general maternal child health to the community. Provides parent education and child and family screenings. Travel to all grantee meetings, trainings and across Cocopah community. Attend one year Harris Institute and obtain Infant Mental Health Endorsement. Three years related experience in counseling children and families with demonstrated experience to foster collaborative relationships. Knowledge of early childhood with an emphasis on mental health, public health and social determinants of health encompassing physical, mental, social, emotional and behavioral domains and related service systems. General knowledge of implementing sustainable strategies. Excellent written and oral communication skills including public speaking. Strong interpersonal skills and demonstrated proficiency working collaboratively with others. Ability to understand the infrastructure and hierarchy of the tribal council and early childhood systems and how they operate. Ability to engage community members promoting collaborations and community strengthening. Master’s degree in counseling, Family Counseling, Mental Health Counseling, Psychology or Clinical Psychology required and licensed mental health counselor, preferred. At least three years related experience in counseling children and families with demonstrated experience to foster collaborative relationships. Mixes and serves alcoholic and non-alcoholic drinks to patrons of the bar by performing the following duties. Take food & drinks orders from customers. Mixes ingredients such as liquor, soda, water, sugar and bitters, top prepare cocktails and other drinks. Submits orders or requisitions for liquor and supplies to the Food and Beverage Manager. Arranges bottles and glasses to make an attractive display. Slices and pits fruits for garnishing drinks. Must be able to stand and walk a minimum of 8 hours daily. Must be able to lift and carry at least 40 lbs on a regular basis. Must be able to work in an environment containing excessive noise and smoke. Must have 2 years’ experience as a bartender. To maintain the automatic pinsetters and other operating equipment at the Center at the highest level of efficiency, as well as maintain the facility. The hourly compensation range of the position is $11.46 - $12.33. Arrange and follow preventive maintenance schedule. Check logs, stop sheets and make necessary repairs. Schedule and perform pin repair and maintenance as needed. Repair and maintain all other operating equipment. Train and evaluate work of Assistant Mechanics and Pinchaser. Monitor and take charge of daily center maintenance, seats, tables etc. Clean, repair and adjust telefouls. Repair and maintain automatic scoring equipment. Keep records of parts and machine performances. Maintain and replenish part inventories. Monitor daily cleaning and conditioning of lanes as per General Manager. Maintain Building repair and maintenance as needed. Thorough knowledge of operation of pinsetters, automatic scoring devices, and bowling lane conditioning and maintenance. Thorough knowledge of hand tools and small power tools. Working knowledge of carpentry, plumbing and electricity. Working knowledge of heating and air-conditioning units. Must be able to take and maintain an inventory of parts. Must be able to schedule employees to cover all shifts. Must have good judgment in determining the solution to maintenance problems. To prepare food and beverage that will be dispensed to customers. Take orders and deliver to lanes in a pleasant and courteous manner to customers. Prepare food according to methods and quantities prescribed by Lead Cook. Keep kitchen, cooking and serving areas clean and neat. Follow opening and closing procedures when doing such. Maintain safe and sanitary conditions at all times. Receive deliveries in absence of the lead cook. Responsible for required paper work such as tip sheets and register consolidation. Maintain equipment in clean and good working condition. Handle money and maintain a register using P.O.S. System. Knowledge of food preparation procedures. Must be able to stand for longer periods of time. Knowledge of commercial food handling techniques. Must be able to lift a minimum of 10 pounds on a regular basis. Commercial food preparation and cash register experience is preferred. Food Handler’s certification is required.